Vogue Attitudes International Pattern from the mid 1990's. Oversized, unlined, above mid-knee, jacket has collar, dropped shoulders, pockets and long sleeves. Front button closing (4 buttons). A-line, pullover, bias dress has carriers and purchased contour belt. 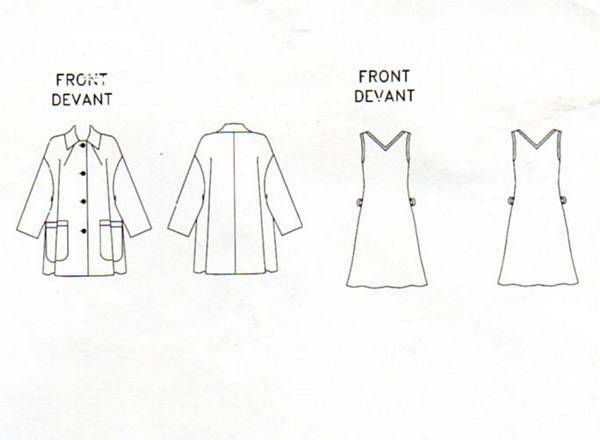 Front and back V necklines.